This is a diamond-shaped Right Turn porcelain sign. This particular Right Turn sign is blue with white text. 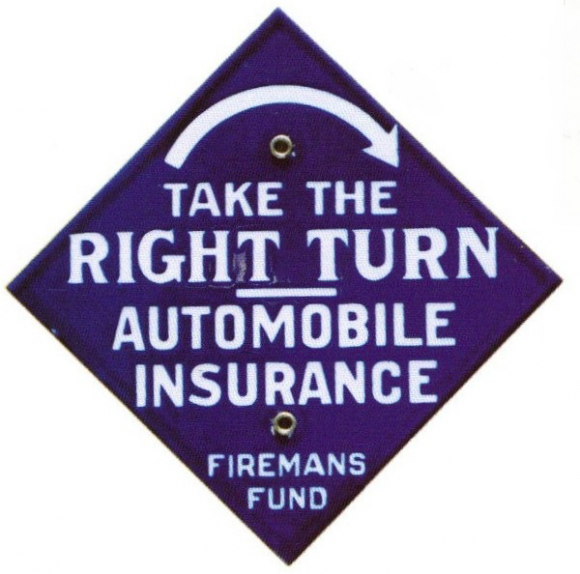 It reads, “Take The Right Turn, Automobile Insurance, Firemans Fund” and features a white arrow pointing to the right.